8:00 AM - 5:00 PM - 7 Days A Week! Are you tired of all the clutter & chaos, and ready for a new start in 2019? 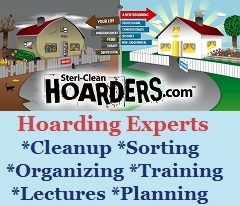 Do you need help with Hoarding Cleanup and managing extra clutter? Winter is here! For many, this time of year is motivating and inspires the desire to tackle any cleaning tasks, small or large. But for others, this is a time that causes sadness and depression. For either scenario, we are here to help! We can get your apartment, condo, hoouse, mobile home, trailer, hotel room, or whatever you call home back into a safe and functional state at your pace! Don't fear company coming over, WELCOME them with an amazing home! HoardingCleanup.com is a database of qualified hoarding specialists including hoarding cleaning companies, hoarding therapists, and psychiatrists across the United States (and a few other countries) that are all familiar with the hoarding disorder. Hoarding Cleanup.com was developed by hoarding experts throughout the country to fill a huge void in finding qualified hoarding help. We created this site to help those suffering from hoarding and moderate to severe clutter, as well as their loved ones, find sincere and compassionate help no matter where they are located. Most of the cleaning companies listed on our site have been trained and certified by, or are a franchise of, Cory Chalmers, a nationally recognized hoarding expert in hoarding cleanup and the psychology behind the disorder. Mr. Chalmers has helped open peoples eyes to just how common hoarding is by helping create and as a regular featured expert on A&E's Emmy nominated TV series, "Hoarders", hosting 59 episodes over the past 10 seasons. Off the show, and even more impressive, is his companies success at cleaning over 15,000 hoarding homes throughout the United States! The resources on this site are all non judgmental, compassionate and ready to provide the necessary help for hoarders to succeed. One call to a Hoarding Cleanup .com listed company and you are on the road to a fresh start. Help for hoarders is now just a click away. If you or a loved one needs help with hoarding, let us assist them. 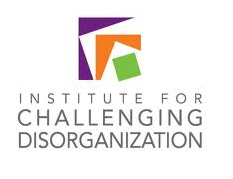 From hoarding support groups and hoarding webinars to help with cleaning, organizing and therapy, you can find the resources here. 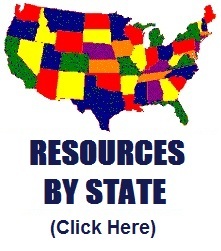 Click HERE to be connected to our national database to find hoarding help resources near you now. With an experienced company, hoarding clean up will go smoothly and efficiently. Hoarding cleanup not only entails clutter clean up, but the recovery of all the items in the home that are still useful, valuable and sentimental. A hoarding cleanup company should carry all insurances including general liability, workers compensation, automobile, and they must be bonded. If you find a hoarding cleanup company on this list to be anything but perfect, please let us know. We strive to keep our hoarding resources among the best in the nation. We know how hard is to find quality help for hoarders, so we update our list regularly to keep these hoarding resources accurate and up do date. Read through this site for many resources and useful tips on how to help a hoarder or how to help yourself! I wanted to let you know how thoroughly pleased I was with the cleaning job Steri-clean did at my apartment. You were so right about Eddie and Zach. Both young men were so pleasant, encouraging and hard working. Both would make excellent therapists should they choose a new line of work someday, but I would hope they don't as there are many out there like me who need their help. Eddie worked with me in my terribly cluttered room. He helped me move beyond my anxiety and get things organized all the while doing all the heavy work. All I had to do was say keep it, donate it or throw it away. Whenever I faltered, Eddie was there to make a quick, painless suggestion and that kept it easy. Meanwhile, Zach worked with Angela my partner, to clean and organize the kitchen, fridge and bathroom. He cleaned and scrubbed like a man possessed. Far better than any cleaning woman I have ever hired. I nearly felt like crying when they were done. I know you will have seen the after pictures, but I wish you could see the finished produce in person. I haven't seen our place look this great since we moved in! It already has inspired us. I've done all my laundry, bought new bedding for my old room and have now created a very pleasant guest room for my best friend and godson to visit, which both have planned already. I can't thank you and Steri-clean enough, for helping me get my life back on track. One cannot fight depression and anxiety hard enough with a filthy environment holding one down. Now I can hold my head up high among my friends and neighbors and entertain guests once again, as I did long ago. Many thanks to yourself, Eddie and Zach, and all the Steri-clean team. I hope you all feel as good as we do, when we see the change in our lives our newly reclaimed home has made. May God bless all of you in your important work. Thank you for the referral to a company in our area. We didn't even know there were companies like this. The firm you referred us to was very professional and treated us as if we were part of their own family. The cleanup went quicker than I had ever imagined. My mother now has a safe and beautiful home again, just like when I lived there as a child. You provide a great service to those in need. HoardingCleanup.com helped me find a wonderful cleaning company that we just had come out to our home. We were completely disgusted with the way our house had become so cluttered but couldn't seem to accomplish anything on our own. We made several attempts to clean without success. The cleaning crew arrived and in just the first day, they had half our house in tip top shape. They found things we didn't even know we had in there. Thanks again for referring us to them. They were fantastic! I just wanted to write to thank you for all the time and effort you went into finding a company to help me clean out my parents home. I know you did this out of the kindness of your hearts and I just wanted you to know I appreciate it. I wanted to let you know the company you referred me to was so kind and non judgmental. It was a lot of work, but they just finished the house and found a lot of memories for me in the process that I would never have found in all that mess. Anyway, I just wanted to let you know they were great, so keep giving their information to other people in need. Thank you so much again, I would have never found help without you both! HoardingCleanup saved my home! I was facing eviction and despite making several attempts at cleaning my apartment, I just couldn't find the energy to make any progress. They sent me the information for a wonderful company. When they first arrived to meet with me, I was scared to death. They were the nicest people and immediately I felt a wave of calm wash over me. They provided me with a very fair estimate and I had them start within a few days. My landlord let me stay, and now I will never let it look like that again. I thank you for finding them for me as I may have been out on the streets today without them. Cory, thank you for the referral. The company was better than you promised! I sincerely appreciate the work that you do, and your willingness to help others nationwide. Just wanted to let you know that I have started working with Melissa. She's been here once and will be back on Aug. 14th. She has been on vacation and had a large clean up to do so we've had a break while waiting for her schedule to open up but she frequently emails and texts me to keep me motivated and remind me that there is a light at the end of this mess. She has been a real blessing and I am so glad you referred her to me! I can't wait to continue the progress and get my life back!